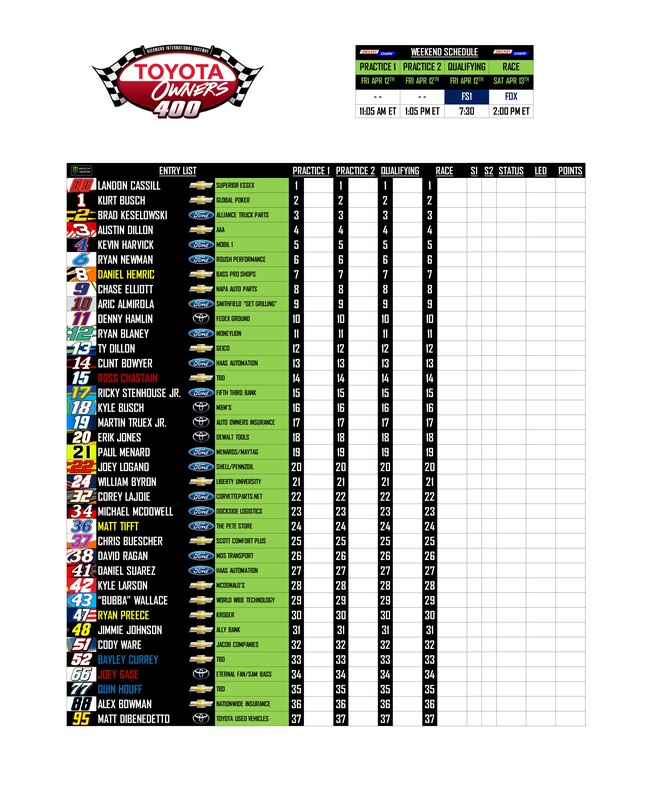 Discussion in 'NASCAR Discussion' started by ShadowKnight508, Apr 11, 2019. The Entry Form is what you'll need to enter each week. Just copy/paste the entry form into a reply to this thread. Then fill in your picks and click post reply. After that just sit back and see how things turn out! For those who didn't participate at Bristol Motor Speedway, it's not too late to join in on the Pick' Em Series for the 2019 season! Just be sure to submit your picks in this thread and see how your picks stack up against the rest of the competition! It does not matter if you have been a SRD member for years or if you are brand new to this wonderful community! It's free to compete in and you might just find yourself taking home the win in your first season of competition like our most recent rookie winner Gravite did at Bristol! 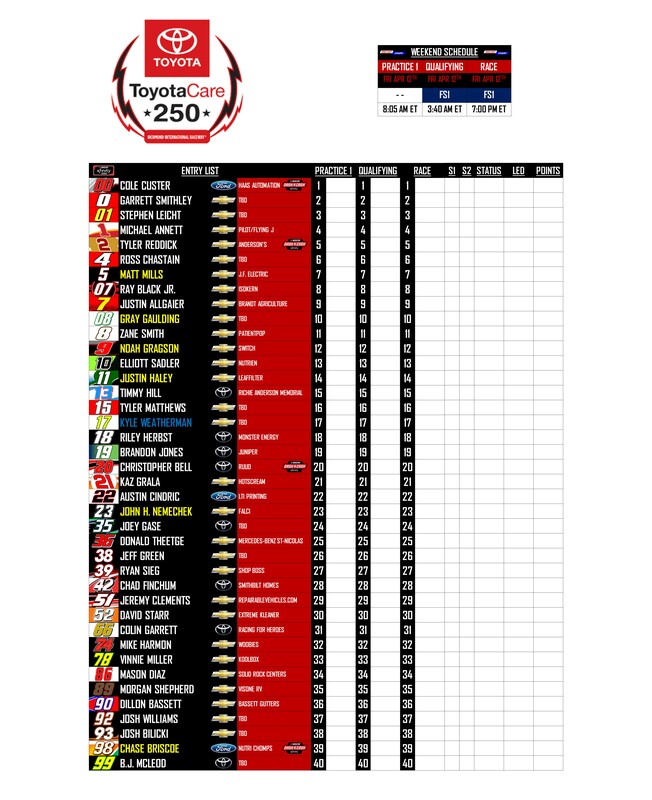 2019 Toyota Owners 400 Busch Pole: #78 Martin Truex Jr.
2. #78 Martin Truex Jr. Still looking for my first win of the season. Not bad, but (I believe) not good enough for the win.